Every winter right when it starts to get chilly, Gifts for the Homeless brings us a big donation of cold weather gear. We were overwhelmed with their generosity this November as boxes of thermal socks, thick gloves, knit hats, and fleeces were delivered to our center one afternoon. It was probably one of the first truly numbingly cold days in DC, and our guests were so appreciative. Everyone was able to leave our center that evening with new winter accessories. In addition to purchasing much-needed items for organizations all across DC, Gifts for the Homeless also runs one of the best winter clothing drives in the city. (At least, we think so!) 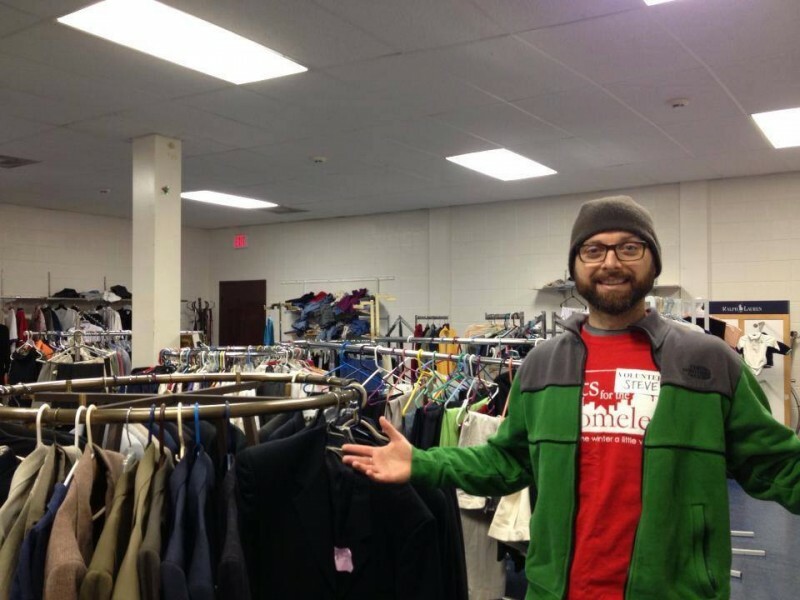 The 2013 GFTH Annual Used Clothing Drive took place during the week weekend in December, and shortly after volunteers sorted all of the clothes GFTH collected, they dropped off several bags at GMC. Thank you so much to Gifts for the Homeless and all of your amazing volunteers! We are grateful for all of your support and are inspired by all of your hard work. Two huge boxes of brand new socks just arrived! A huge thank you to Gifts for the Homeless, Inc. for sending them over- it is so appreciated! Check out their Facebook Page to learn more about the amazing work they are doing in the Washington DC area. 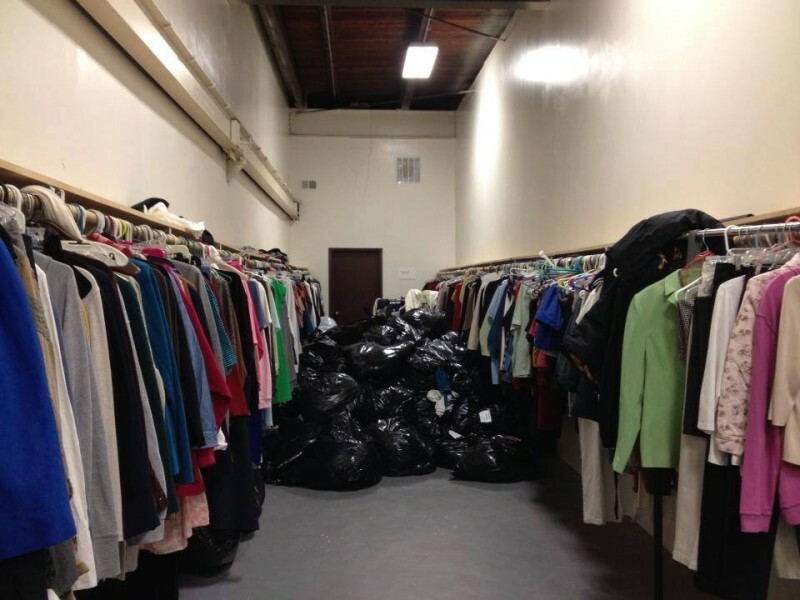 Every single dollar that Gifts for the Homeless receives from public donations is used to purchase and distribute new clothes for various shelters in the area. Stepping Stones provides a continuum of services (emergency shelter, permanent supportive housing, and post-shelter support) to homeless families with children in order to move them from crisis to a stable home environment. By offering food, shelter and supportive services in an atmosphere of dignity and respect, Stepping Stones provides hope for the future, strengthens families, and promotes self-sufficiency. 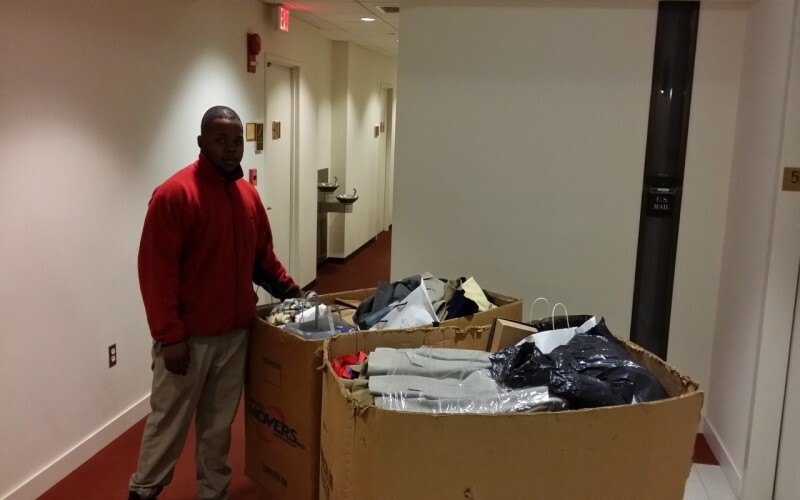 This past Saturday, MD AALEAD youth attended the annual Gifts for the Homeless clothing drive. Gifts for the Homeless is a local non-profit organization “that serves the homeless of the Washington, DC area.” (www.gfth.org) And every year, Gifts for the Homeless holds a clothing drive where the clothes get sorted and folded for homeless shelters. Volunteers from all over the area attend – including our AALEAD youth. Our MD AALEAD youth spent three hours going through bags of donated clothing and sorting them into groups such as men and women business wear, toddler clothing, to bags and accessories. There were hundreds of bags of clothes once everything was folded and sorted. 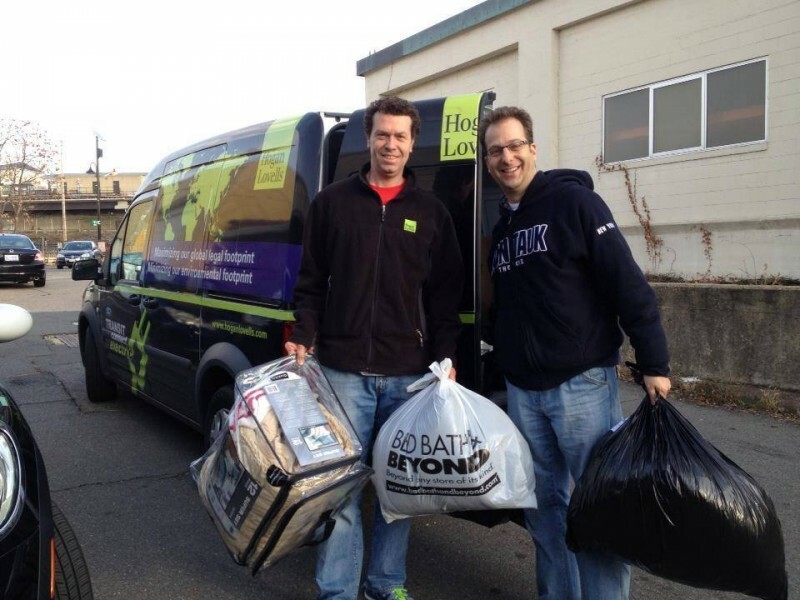 Later that day, Gifts for the Homeless transported the bags to local homeless shelters. By the end of the day, AALEAD youth learned the importance of giving back as we try to express with our youth with all of our community service events. 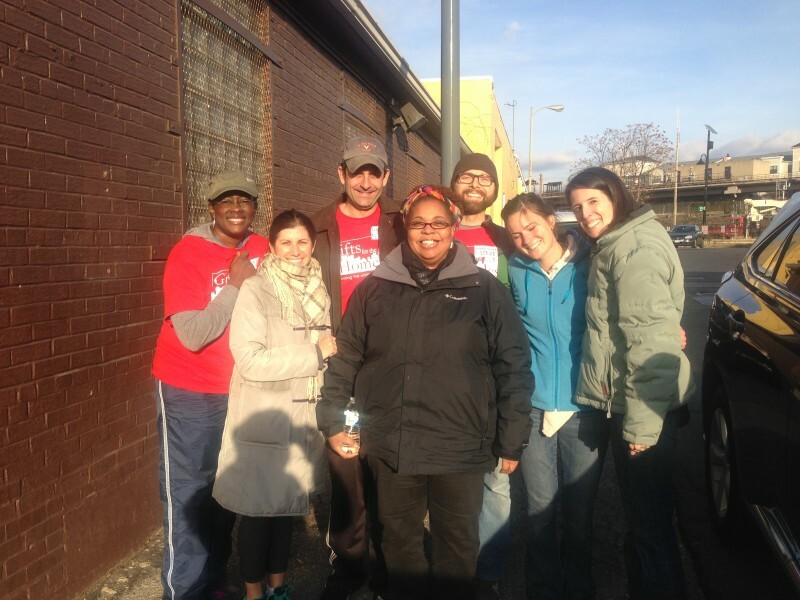 A few students who attended our last community service event at DC Central Kitchen saw first-hand the homeless community in DC. And with that in mind, a few students mentioned the need of warm clothing for the homeless people they met sitting outside of DC Central Kitchen. It was another great community service event and a learning experience for our AALEAD youth! Two large Kane bins were filled to the brim with wonderful donations from International Center for Research on Women (ICRW) staff and their generous tenants at Basic Education Coalition, Helen Keller International, Blakey & Agnew, and Global Impact. “Thanks to all the GFTH volunteers for all you do,” said Laurie Calhoun, ICRW Senior Information Resources Specialist who led the non-profits’ own drives over the past couple of months.